The holiday season is packed with events! 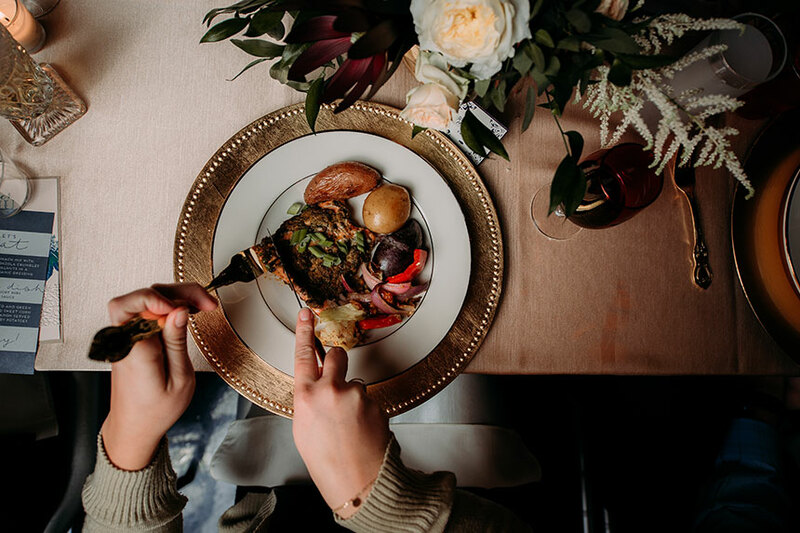 Whether you’re hosting a Christmas or New Year’s party at home, or are catering for a party every day until 2018, Well Dressed Tables would like to help things go smoothly. For last-minute holiday party planners, our talented event designers put together a handful of gorgeous holiday looks! 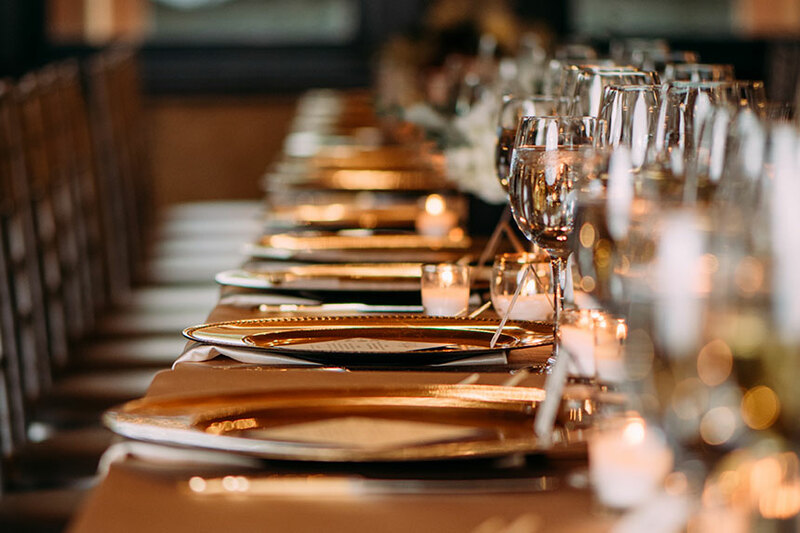 This look brings together metallics – silver, gold, and antique gold – with neutral linens. 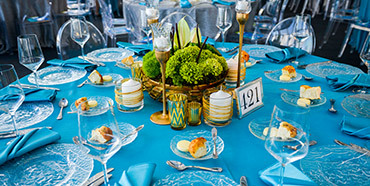 The palette works with any table decor and is ideal for a more casual holiday event. 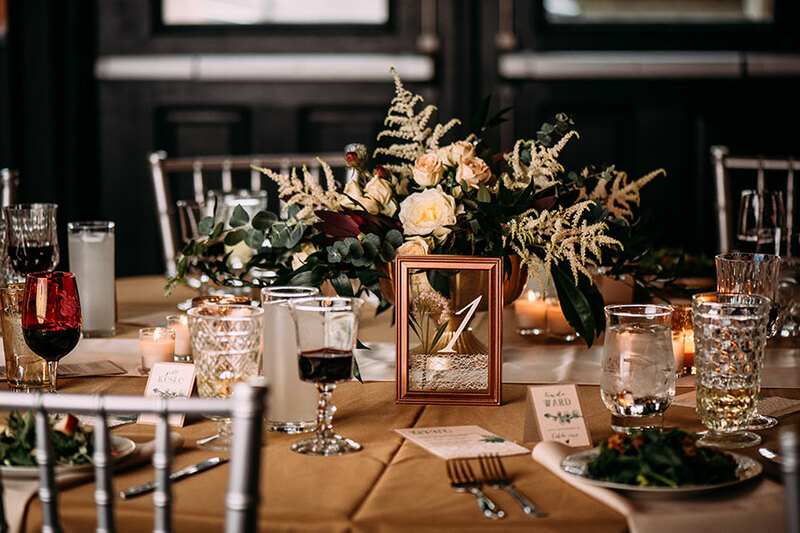 In our design, the Silver Chiavari chairs, Majestic Ivory Napkins and Sandalwood Linen, and Ivory with Gold Rim china pair wonderfully with an eclectic collection of flatware as well as vintage glassware. 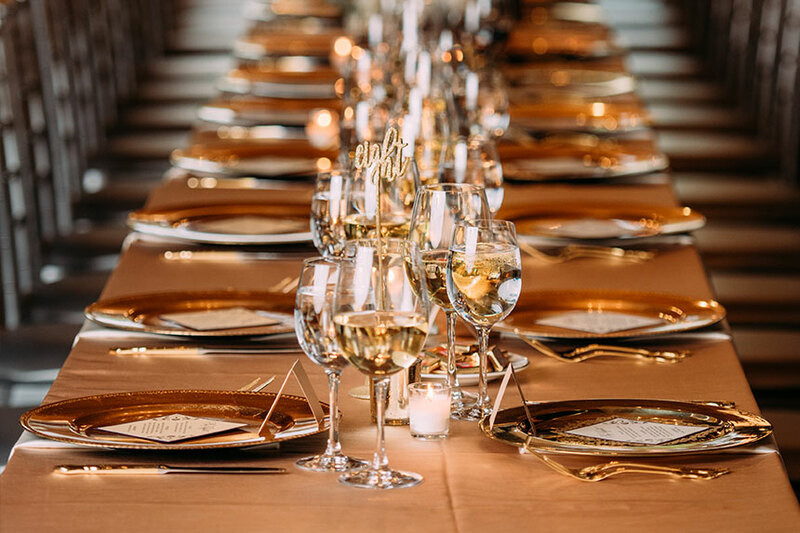 For a more glamorous holiday event, our Well Dressed designers chose luscious gold and cream rentals. The Camel Majestic Linen has a champagne hue that looks lovely in the candlelight, and our Gold charger looks perfect with the Ivory with Gold Rim china. 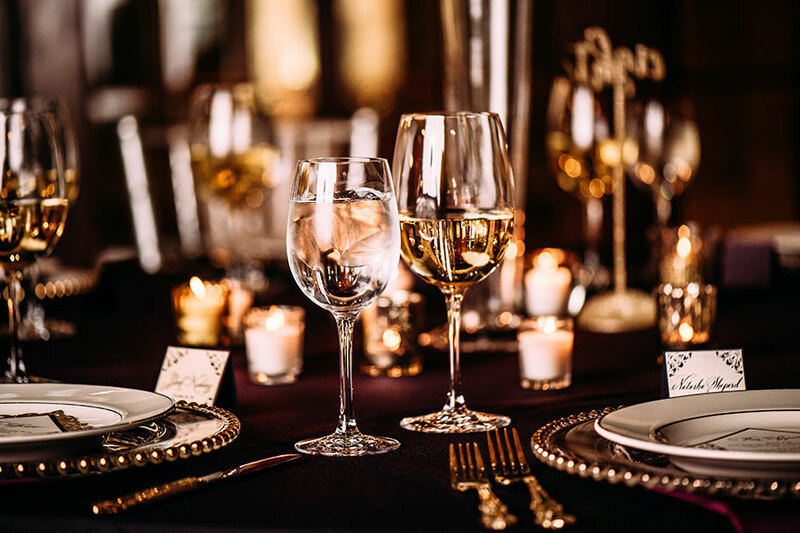 The vintage-inspired Royal Gold flatware brings the place setting together! This design is our most extravagant! 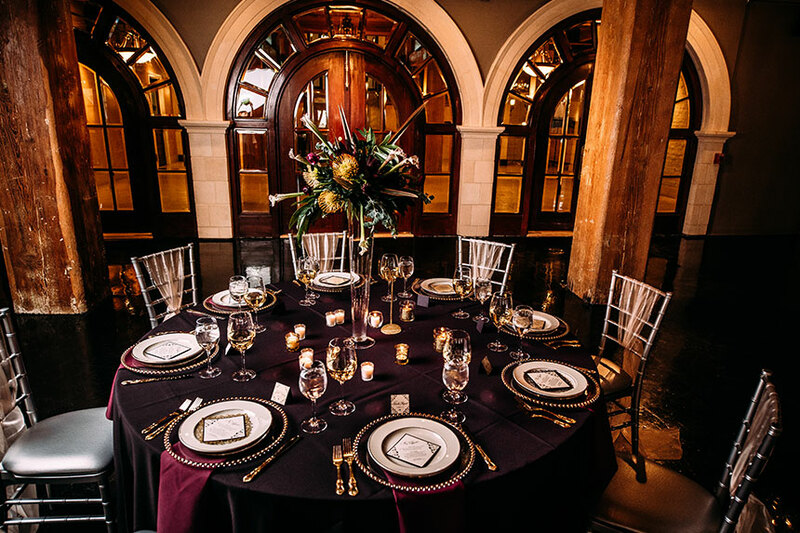 The deep Burgundy and Aubergine linens, Royal Gold flatware, and the Elegance White Wine Glass and Water Goblet set the table for a grand holiday event. 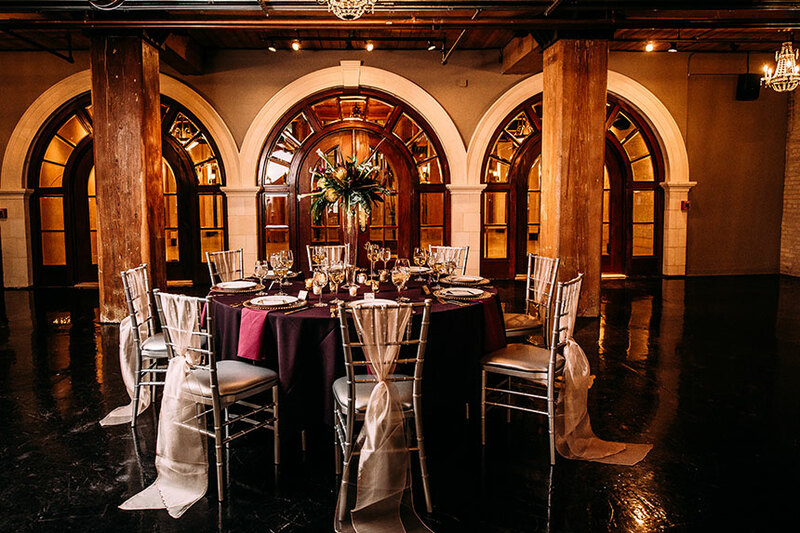 The pieces all have warmth and depth, and will set the stage for a celebration your guests won’t forget! 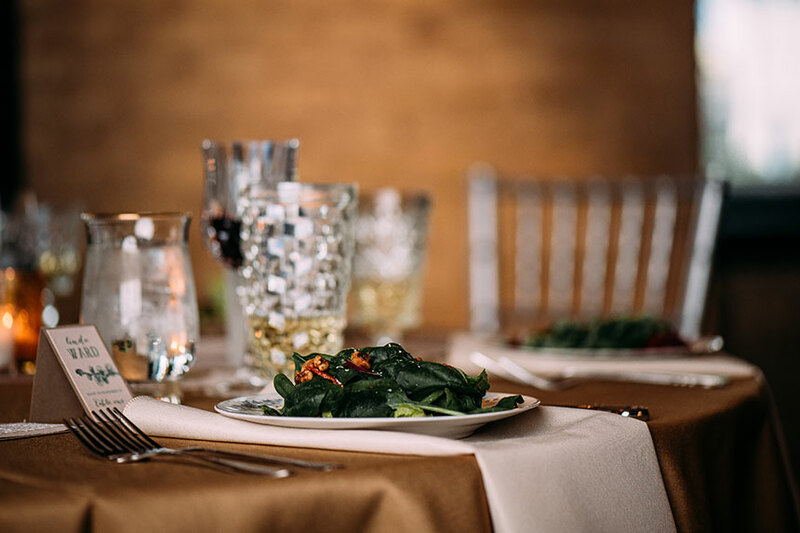 Everything that should be at your table is in our inventory. From china to chairs, Well Dressed Tables has the rentals you need! For a quote, call us at 855-252-2480 or use our simple Request a Quote form. 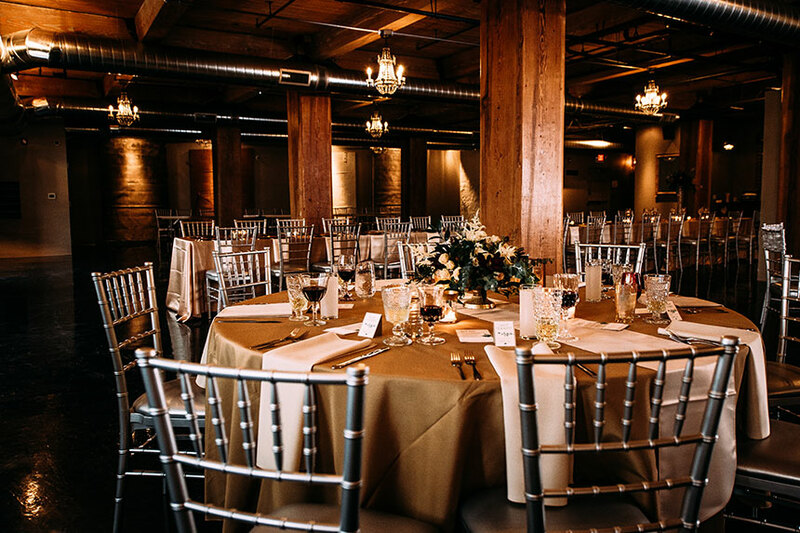 All table designs were set at Black Swan in Milwaukee, Wisc., with catering by All Occasions.